continues through this week until Midnight Saturday EST April 20th. 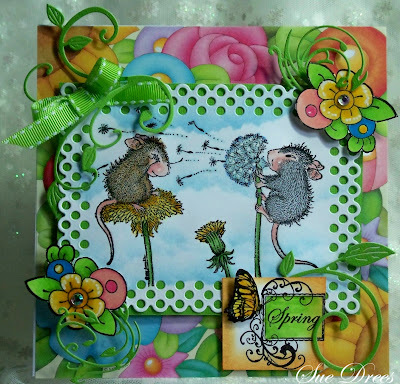 Nothing says Springtime like Dandelions! These two are having some fun. How cute are these two playing with the Dandelion seeds! and Marvey light blue dye ink. and rhinestone centers on the flowers. Cheery Lyn dies for the scrolls and leaves. Hope you can find some time to join us. There are four very nice prizes on offer, but you have to be in it to win. We love to visit your blog to see what you come up with. 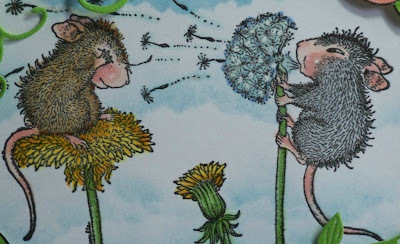 ALL details are on the House Mouse and Friends Monday Challenge site. Think Spring and join us! a beautiful card. a lovely stamp with these mouse. you made the clouds very good! beautiful whole image. Image is darling, that paper is gorgeous, all embellishments are sweet, but I'm really impressed with the way your did your sky. It looks more realistic than the scallops we usually use. Fantastic card. super cute and fantastic card Sue. Gorgeous card Sue. The image is adorable, your colouring is fabulous and I love the papers. Vibrant and cheerful! Very cute and great clouds shading. So beautiful card Sue,I love the image and the papers. Gorgeous design, Sue! Beautiful sky and combination of colors, texture and embellishments. This is gorgeous, beautiful bright colours and I love the design. 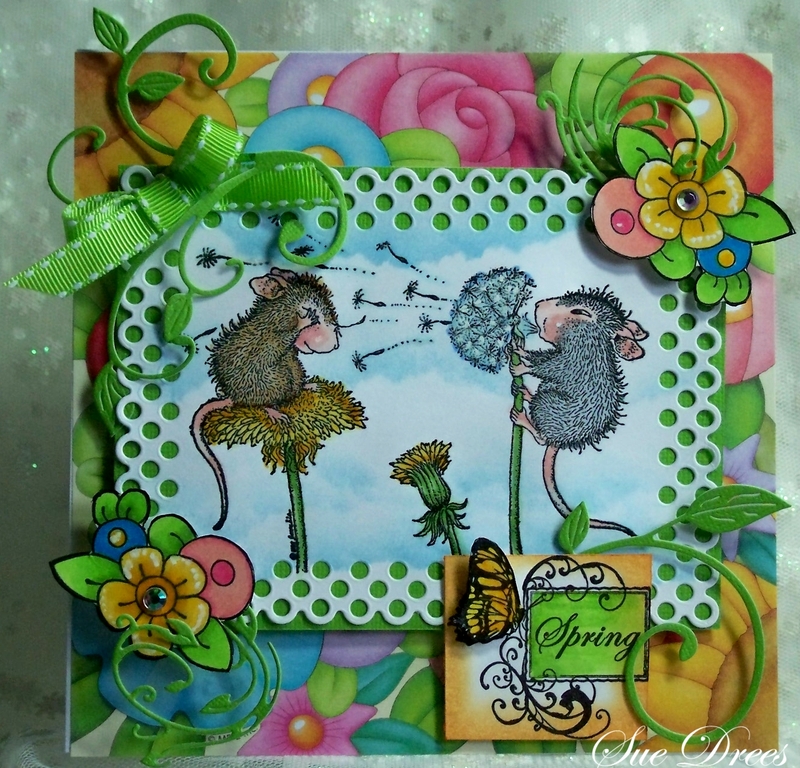 A gorgeous card Sue, a beautifully colour adorable image and your design and colours are stunning!! !